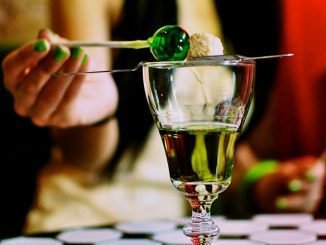 Kids look forward to the smorgasbord of treats on Halloween, and parents look forward to “sorting out” the candy at the end of the night. 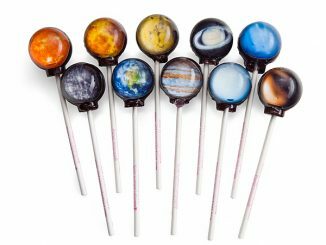 It’s always a relief to discover that good-ol’ classics are still being given out, like Reese’s Peanut Butter Cups, Mr. Goodbar, and Nestle Crunch, but it would also be exciting to see funky, disgusting-looking candy like Dark Moon’s Forkz Eyeball Lollipops among the stash. 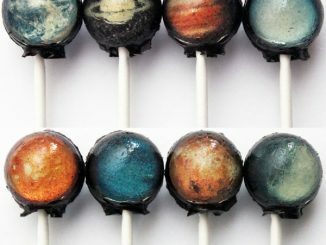 These lollipops just might convince you not to poke your eyes out, especially not with a plastic fork. 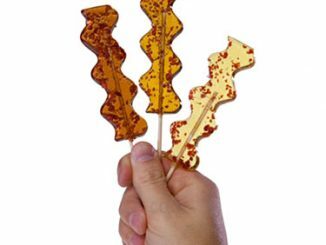 Each lollipop is wrapped in a clear wrapper so that you can admire it before working up an appetite to eat it. 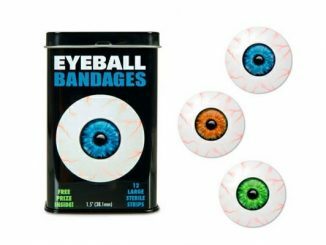 The eyeballs come in four different colors and flavors to make things interesting. 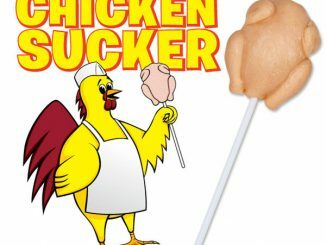 It looks like they will last longer than your average Dum-Dums or Chupa-Chups, which ultimately buys you more time to gross-out your audience. 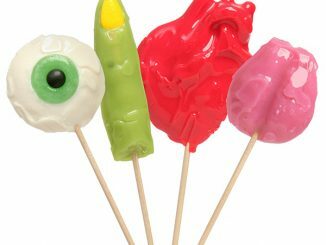 Freak out your guests with this eye-popping pop! 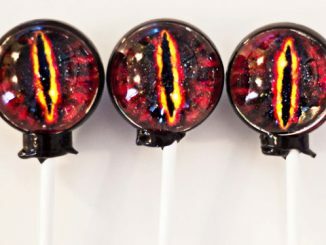 A candy lollipop in the shape of a creepy eyeball! 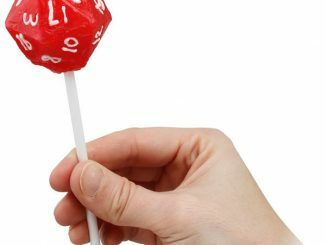 This unique lollipop will double the fun for this year’s Halloween. 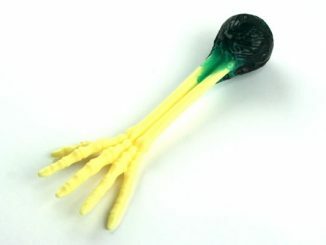 Perfect for party giveaways, gifts, trick or treat, and much more. 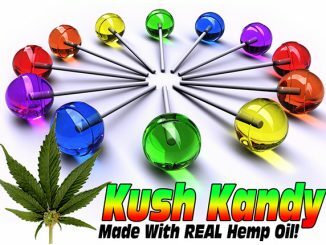 Green apple, grape, blueberry or strawberry flavors. Mixed eye colors include Red, Green, Black and Purple. 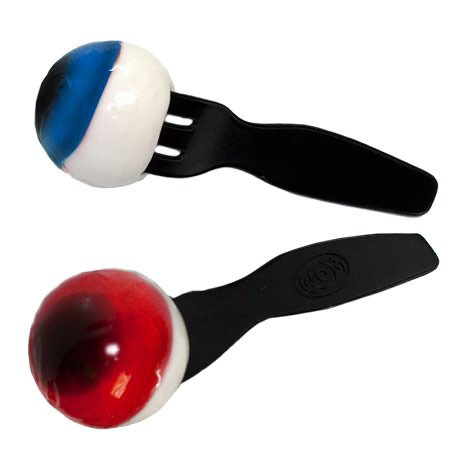 Forkz Eyeball Lollipops can be bought at Amazon.com for $12.92, and you’ll get 24 lollipops. 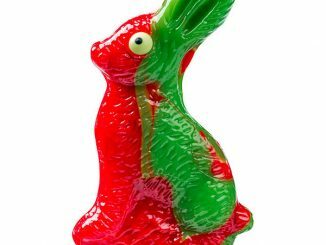 Another type of candy to add to your macabre treat bowl is Sushi Body Parts Gummy Candy.